While the North Carolina Senate is in recess before taking up the third reading of HB 589, allow FHQ to add one additional footnote to the potential presidential primary move called for in the bill and its implications. The funny thing -- or perhaps it isn't funny depending on your perspective -- is that the presidential primary provision, if passed, is ultimately going to be all for naught. FHQ explained yesterday that anchoring the North Carolina primary so close to South Carolina's is a recipe for disaster. In a perfect world for North Carolina, the RNC rules (with loophole) would stay as is, South Carolina would allow the primary in the Tarheel state to follow just three days after the primary in the Palmetto state and no other states would threaten the delicate balance the national parties and carve-out states have in the month or so before Super Tuesday on March 1. But the world isn't perfect. The RNC rules are apt to change in some way. South Carolina is also likely to frown upon a North Carolina primary so close to its own. Oh, and who knows what other states will do in terms of the scheduling of primaries between now and, say, October 2015. Translation: North Carolina can pass the law, but is very likely to get drawn into a non-compliant point on the calendar and get hammered by the RNC (and DNC). Where does that leave the Tarheel state? That's the funny part. At that point -- again, say, late 2015 -- the legislature would have to eye a rather quick fix to the legislation in early 2016 (giving elections administrators across the state more than enough headaches as far as their election preparation is concerned). Barring that -- and that kind of fix is no sure thing -- North Carolina would be stuck. The law would call for a primary immediately after South Carolina's. That would put both parties in the state in a bind and with limited options. The caucus route is another option. That is what Missouri Republicans did in 2012 when the primary in the Show Me state got mired in legislative gridlock. That is also what happened with North Carolina Democrats in 2004 when a court battle over newly drawn congressional and state legislative lines forced the hands of Democrats in the midst of a competitive presidential nomination race. That may or may not be the preferred option for either party in the state. Finally, North Carolina -- if the state legislature can't pass a measure to move the primary to a compliant but still early date in 2016 -- may go the Utah route. Utah legislators in 2011 purposely did not fund what would have been a non-compliant February presidential primary in their annual appropriations bill and added the presidential race to the state's June primary for state and local offices. If FHQ had to guess, I'd say this is the most likely option. So yeah, the North Carolina General Assembly can go to the trouble of changing the primary law, but the end result -- like the scheduling of the 2012 Florida primary -- will likely be that the primary ends up right back where it started: the first Tuesday after the first Monday in May. 1 The great unknown is whether the RNC would grant a waiver to North Carolina Republicans if the DNC had already done so with Democrats in the state. There would be pressure on the RNC not to let Democrats gain an advantage in the state (whether one was to be had or not -- Perception often trumps reality in these situations.). There is, after all, a provision in the RNC rules (Rule 16(f)3) that allows for waivers to be granted if "granting such waiver is in the best interests of the Republican Party". That does provide the national party with some latitude. Here's the thing about North Carolina possibly moving its presidential primary from May to February. These sorts of actions never happen in a vacuum. That is certainly the case when one or more of the carve-out states -- Iowa, New Hampshire, Nevada and South Carolina -- are affected. It can even be true when the perception is that a threat is being exerted on any of the four. 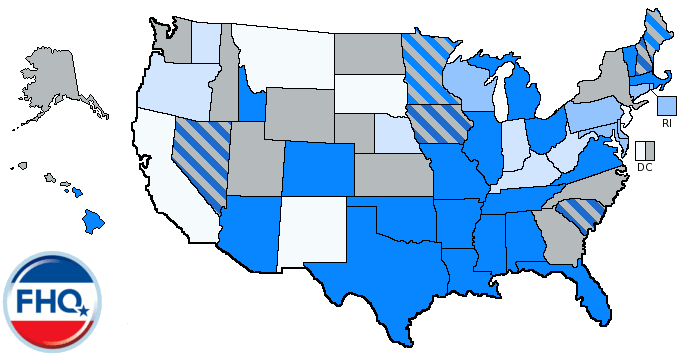 Look, in the sequential game of presidential primary calendar formation, states -- state parties or state governments -- can virtually do whatever they want. They may face a (super) sanction from the national parties (see Florida and Michigan in 2008; Florida et al in 2012). They may face a boycott from some or all of the candidates (see Florida and Michigan on the Democratic side in 2008; Delaware in 1996). They may trigger a January (or earlier) beginning to primary season. States, then, can do many things, but there are very often (steep -- steeper over time) repercussions for those actions. Let's assume for a moment that this bill passes the North Carolina General Assembly as is and is signed into law by Governor McCrory. Well, as FHQ mentioned last night, depending on the timing of the South Carolina primary, North Carolina may actually be able to hold a February primary and avoid a penalty (from the Republican National Committee1). That may help avoid the national party implications, but does not necessarily solve the candidate or other state issues that may arise in these types of moves/situations. No, in fact, with Florida breathing down its neck over the last two cycles, South Carolina has all but (unofficially) institutionalized a week long buffer between its contest and the contests of the other states in the South. The Florida primaries in both 2008 and 2012 fell on the last Tuesday in January, and each time -- faced with the possibility of opting into a primary date the Saturday before -- South Carolina Republicans decided to jump to a point on the calendar 10 days ahead of Florida. In the Palmetto state, First in the South means first in the South; just like in First in the Nation means first in the nation in New Hampshire. But it isn't just that the moniker has some meaning. No, instead, first means first but with some time for the results of the contest to resonate; to impact the proceedings of any given presidential nomination race. In fact, there was a failed effort to protect (and codify) this "at least seven days before" buffer in the South Carolina legislature just last year. No, it didn't pass, but in combination with the actions out of South Carolina over the last two cycles, the signs are telling. Ultimately, South Carolina would force North Carolina's hand if the Tarheel state went through with a plan to anchor its primary to South Carolina's. Newly emboldened by the (at least RNC) rules, South Carolina would inch up a week. The current RNC rules give the carve-out states a month before the next earliest contest to schedule their delegate selection events. That does not necessarily mean February unless the non-exempt states abide by the March 1 threshold. And Arizona and Michigan are already camped out in late February; forcing Iowa into late January more than likely. But if South Carolina moves up a week -- from February 20 to February 13, 2016 -- then North Carolina Republicans are suddenly open to the Republican super penalty. 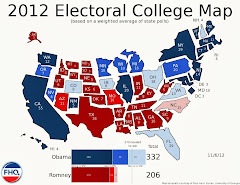 Republicans in the state will have more delegates in 2016 due to Romney's win in the state, the Republican increases in the congressional delegation and unified control of North Carolina state government. That, in turn, will mean that the super penalty -- the reduction to 12 total delegates -- would hurt more; increasing from 78% of the original total of delegates to likely an over 80% hit. Again, the game is sequential. North Carolina can move. ...but there will be repercussions. Starting with South Carolina and ending with significant penalties. North Carolina Republicans have been busy -- and in the news locally and nationwide too -- after taking unified control of the executive and legislative branches in the Tarheel state for the first time since Reconstruction following the 2012 elections. The latest from the General Assembly is legislation -- a state Senate committee substitute to HB 589 -- that would significantly alter the administration of elections and registration of those potentially participating in them. There are folks on both sides of the discussions around the alterations to elections, and that is a matter for a different forum. FHQ is more interested in part 35 of the bill. That is the section that "conditionally" moves the North Carolina presidential primary to the Tuesday following the South Carolina primary. The clause in question? On the Tuesday after the first Monday in May, 1992, and every four years thereafter, the voters of this State shall be given an opportunity to express their preference for the person to be the presidential candidate of their political party.party, except that if South Carolina holds its presidential primary before the 15th day of March, the North Carolina presidential preference primary shall be held on the Tuesday after the first South Carolina presidential preference primary of that year. The struck through portion is what would be removed from the existing law. The underlined part is the addition. Now, FHQ used quotation marks around conditionally above for one simple reason. The conditionality is hollow. The Democratic National Committee has not weighed in yet, but the Republican National Committee has already voted on 2016 presidential nomination rules that guarantee the South Carolina presidential primary will be in February; well before March 15. It should also be noted that South Carolina has traditionally held a Saturday primary which would mean a February primary on a Saturday triggers a North Carolina primary just three days later. That would additionally mean that, depending upon where on the calendar all of this occurs, that the North Carolina Republican and Democratic Parties and voters could get hammered with the new Republican super penalty (and whatever strictures the DNC institutes next year). If that penalty had been in place in 2012, North Carolina Republicans would have lost over three-quarters of the total delegation to the national convention in Tampa. The interesting thing now is that North Carolina legislators are either being extremely shrewd or have stumbled on the best dumb luck in presidential primary calendar politics of the last few cycles.1 As the current Republican rules are structured, the super penalty is only levied on states with contests prior to the last Tuesday in February. In 2016, that's February 23, the same date as the Arizona and Michigan primaries. If South Carolina opts for the Saturday before that point on the calendar -- as FHQ has speculated it might here2 -- that puts North Carolina on the same date as Arizona and Michigan. That scheduling has the additional byproduct of helping the Tarheel state avoid the super penalty. There are a lot of fun possibilities here, but at this point, it is not clear that the primary portion of the bill will survive the legislative process and be signed into any resulting law. For one thing, if passed, North Carolina would have separate presidential and state and local primaries for the first time since 1988 (and only the second time in the post-reform era). 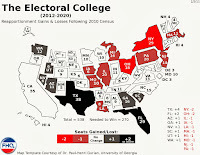 That additional election will cost the state; something that has prevented a similar move numerous times in the past. This version of the bill is, after all, a committee substitute. It has to go to the floor as well. But it is nice to see a fun primary bill come up during a slow summer when (presidential primary) things appeared to be winding down for the year on the state legislative front. 1 FHQ has watched all of this primary movement closer than most over the last two cycles and we have not seen a lot of dumb luck out there. And only rarely are there shrewd moves (see Missouri). 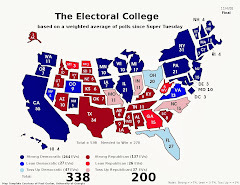 2This assumes there is a period of relative calm in 2015 as the presidential primary calendar forms in an orderly and rules-compliant manner. That is far from a sure thing, but the national parties have a fairly decent rules regime in place to combat some of the chaos of 2008 and 2012.